This week is World Doula Week, a week created to help spread awareness of the work we do and how beneficial having a doula can be for mom and the whole birthing team! Doulas are invaluable to mothers during labor and postpartum and have the ability to drastically improve the entire birth experience for everyone involved. But before we get too ahead of ourselves, what is a doula? If you've ever had a baby or are pregnant currently you might have heard the term mentioned in childbirth classes, at your midwife's office, or in pregnancy and birth books. If you haven't then today is the day that you learn all about who doulas are and what they do. The word Doula comes from an ancient Greek word meaning "women who serves". Essentially a doula is a support person who provides information and educational support at prenatal visits, emotional and physical support during labor and delivery, and help mom adjust to her new life postpartum. 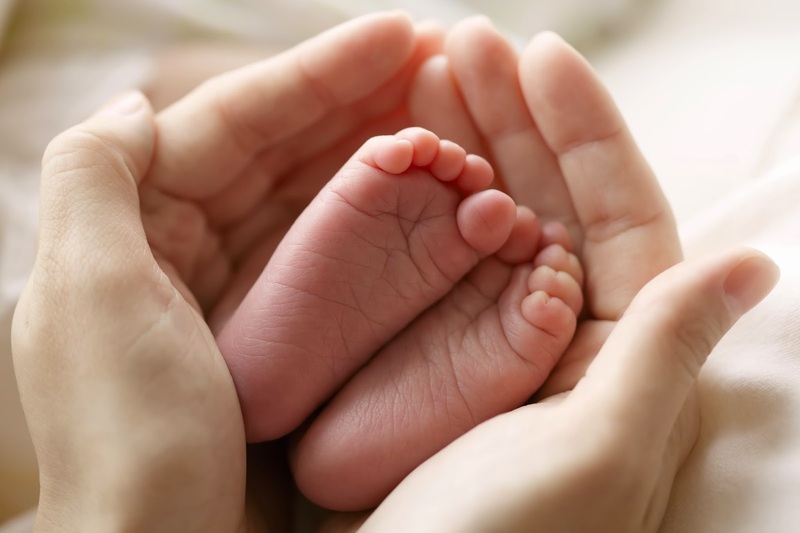 Doulas are there to create a comfortable and safe atmosphere for mother and her birthing team during one of the most memorable days of their lives. Cool, huh? During my doula training and since I've heard many misconceptions about what doulas do. Do we deliver babies? Do we replace midwives and doctors? Do we take over the role of the father or partner? To all of these questions the answer is a big fat NO! Doulas do not perform medical procedures or do anything clinical, doulas are hired in addition to an O.B or midwife. Doulas do not replace anyone on the birthing team and definitely do not take over the father/partner's role during labor or delivery. So what DO doulas do? Doulas help prepare mom for birth during prenatal visits, working on positions that will be comforting during labor, preparing a birth plan, going over concerns and fears about birth, and showing her partner ways that they can help comfort mom during the birthing process. Some doulas teach their moms prenatal yoga and meditation, offer books from their personal library to help mom learn about pregnancy, labor, and delivery, and offer 24/7 on call support to mothers who have questions or concerns. Doulas often come to the hospital, birthing center, or home when labor is progressing to help mom deal with labor pains and stress. Doulas help ease pain with counter pressure, massage, aromatherapy, birthing balls, position changes, and more. They don't do anything invasive or medical, they simply provide natural solutions to the mother to help her cope. Doulas are also helpful to the birthing team. They take some of the responsibility off of the partner so they can eat or rest, which is very helpful especially during long labors. Doulas can also encourage partners during the birthing process and aid them in ways to make mother more comfortable. Doulas are the best birthing cheerleaders! After baby has arrived doulas help mom get comfortable and settled in their new role. Doulas can help with breastfeeding, teach mom ways to soothe her new infant, and tidy up for the family so they can spend time with baby. Doulas are someone a mother can confide in without judgement so during postpartum visits mom and doula will talk about how shes adjusting, any concerns shes having, and can make referrals to other care providers if necessary. Doulas also can provide additional services to help mom during this amazing period in her life. Some doulas offer belly casting, placenta encapsulation, belly binding, v-steams, holistic balms and herbs, and other pregnancy and postpartum services. Now that you know the basics of what doulas do would you hire one during your pregnancy and delivery? What are some questions you have about doulas? This week I will be posting a series of posts on doulas, so if you want to learn more stay tuned! My husband was away during the final stages of my pregnancy & we knew that he would be gone for the first couple of months after our daughter's birth. We hired a doula because I was very scared to be going through the final & beginning phases alone. I think you said it best with comparing them to birthing cheerleaders. My doula knew what my wants were & tried her best to be the voice to remind me & to gently have the doctors back off when they were going against my wishes. Unfortunately, my birth plan as often the case did not go as planned & I had an emergency c-section after a very unproductive 24 hour labor. She was a very essential part though of my whole experience & offered much support after with my insecurities regarding nursing. I am so glad that you had such a positive experience with your doula and that she helped you feel more at ease with birth and breastfeeding! More times than not mother's birth plans are thrown out the window because baby has other plans so its great to have someone like a doula there to put your mind at ease and explain procedures and other issues with mom. Thank you so much for commenting with your story! I would've loved a doula! I wish I had someone there for me towards the end. The bubs works out of town, so he missed the entire birth of my youngest. But if I had to call my doula to arrive, they wouldn't have made it in time. Why I became a doula. Bake It // Banana Date Bread.